A Magic Touch began as a simple and humble one-therapist outfit in the Scottsdale and Phoenix Arizona areas what seems to us like eons ago. We figured that since Scottsdale is known the world over for its luxury and opulence, the incredible quality of life and standards of living, that it was only natural and normal to offer the pinnacle of relaxation and rehabilitation in this location. Since those beginnings, we have grown to a staff of over 40 therapists offering services in 3 states. However our local business is still thriving, and are licensed, insured and highly qualified and experienced group of technicians is still helping pamper residents of and visitors to Scottsdale from head to toe, and everywhere in between, by providing expertly executed mobile massage therapy sessions and services. 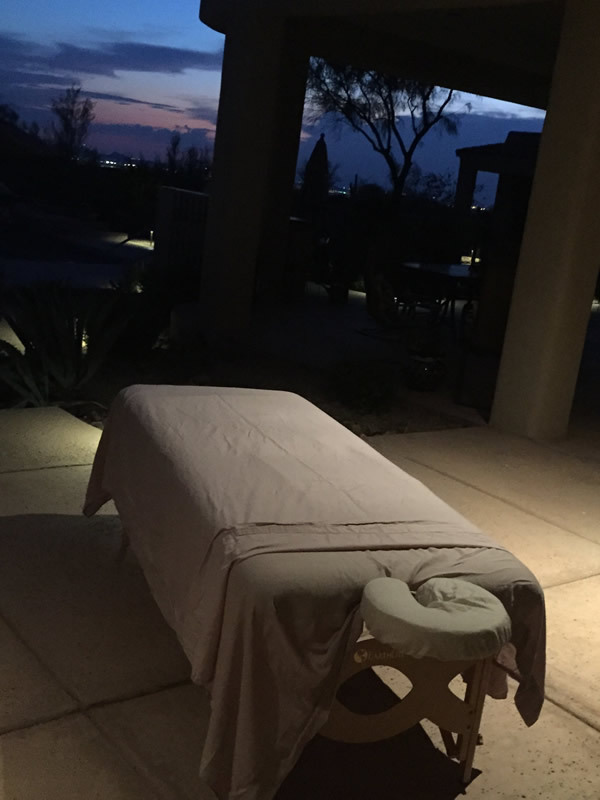 If you live in or around the Scottsdale area and are wanting a mobile massage therapy session that is second to none, look no further than the expert outcall and in-home massage therapists at A Magic Touch. Scottsdale In-Home Massage In as little as two hours after your call to us, 7 days a week, we can have a therapist on his or her way to your home, office or hotel suite. What a great way to save time and be comfortable—as you do not have to go anywhere other than where you are right now in order to be pampered in the lap of physiological luxury from top to bottom. In addition, we also offer our Scottsdale clients comprehensive spa services including pedicures, facials, manicures, full-service mix and match spa parties, romantic and intimate couples massage sessions, and even personal chef, event catering and live music services. With A Magic Touch at the helm, your Scottsdale in-home massage and spa treatment experience will take your breath away, while breathing the life back into you at the same time! A mobile massage couples session is a great way to treat you and you're loved on to an unforgettable, one-of-a-kind intimately romantic experience. 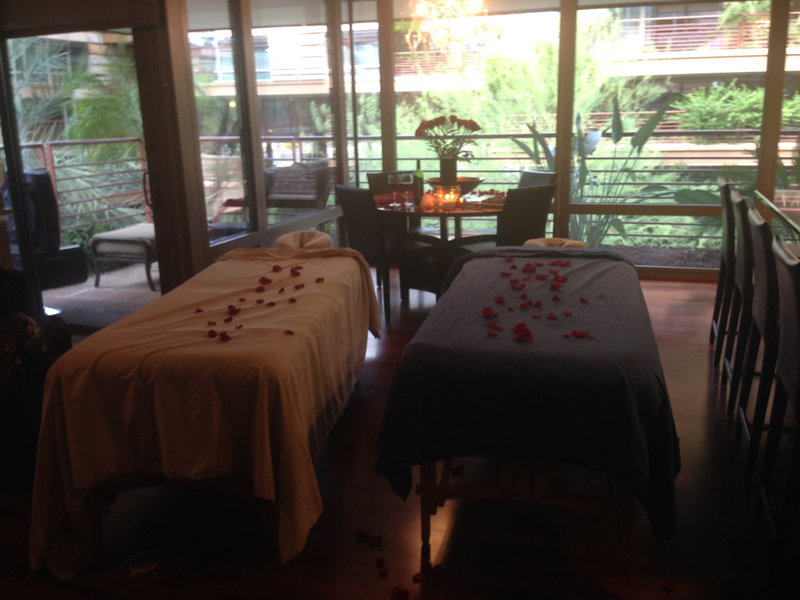 We will send two mobile massage therapists to Scottsdale Couples Massage your home or hotel suite to provide relaxing, mobile massage services for both of you at the same time. Our licensed, insured and highly experienced therapists bring music and even candles upon request, making for a very romantic afternoon or evening. Additionally, A Magic Touch can provide personal chef and catering services, thereby transforming your session into a truly fantastical feast of the senses through options like a 4-course candlelight dinner…and maybe even a violinist if the mood strikes you! This option is perfect for birthdays, anniversaries, or any other occasion big or small where you want to reward yourself, and pamper your loved one in the lap of elegance, luxury, and opulence from head to toe. Please contact us to discuss the many add-on options for your couples session, and allow us to help make your romantic evening the perfect place to be for you and your loved one in every way, shape and form!